NECA is releasing a Predator Trophy Wall Diorama. It will be limited to a single production run. Once sold through, that’s it. Pre-orders from retailers begins today and it’s scheduled for release in July. Read below for the details. 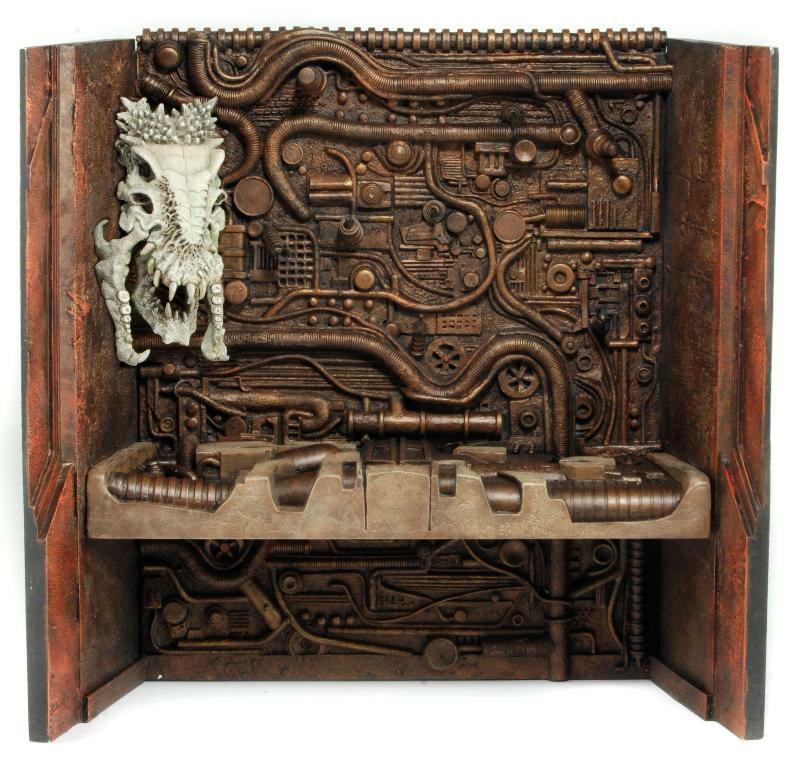 This incredibly detailed diorama is a reward to the fans who have faithfully collected all the various Predators figures and Exclusives, they now have a place to display the various ‘trophy skulls’ accumulated over the past 3 years. Click the headline of the story for a few images. Pre-order it from Big Bad Toy Store by Clicking Here. And before anyone jumps, the "third party, low production/high price" argument doesn�t feel to valid for a company like neca. It�s really a shame cause I really wanted it, but I�m not paying that price for 3 plastic walls! 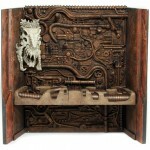 I was so excited for this diorama until I saw the price and that it DOES NOT come with the trophy skulls. That's $65 saved because I am NOT going to track down and buy the previous figs just for the skulls to put on this. And I was really looking foward to this too. Same feelings as above stated. I bought almost every single carded figure, so I could never justify buying the 2 packs just for the skulls and a slightly different figure, PLUS the Wall Dio being almost 3 times what I figured it would be. 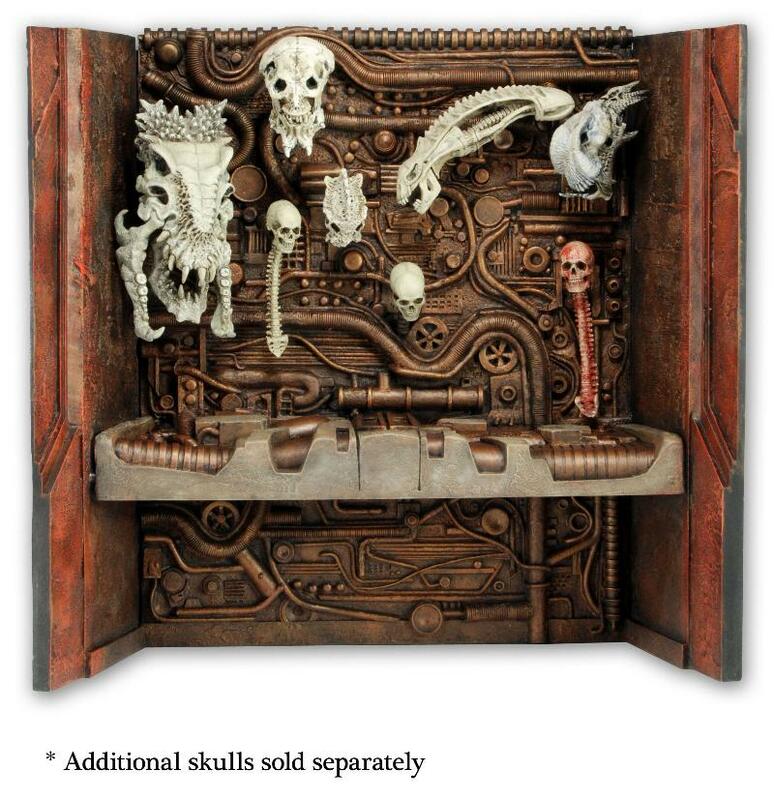 I was guessing 30$ , maybe 35$ bucks WITH the skulls , but NOOOOOOO, you get 1 big skull and 3 walls for 70$ some dollars???? I don't see why they won't make the extra skulls, you know they have the molds somewhere. I feel like if you travel in the type of circles that allowed you to know this thing was coming out at all, you should have already known the skulls weren't included. NECA was very upfront about that. They've also said flat-out that this item is a reward for the fans who DID buy up the exclusives in order to get the skulls. Things cost money to make, molds and tooling aren't cheap, and there's no chance of a repaint/reuse. It is what it is. Don't buy it, I guess. At least I don't have to rely on other people buying it to ensure I get one, like I do with the third series of Gremlins. For the first part, apologies, not much of a reader, so NO I wasn�t aware of the no skull thingy. And as far a a "reward", forget it!!! How can someone throw that price to their "valuable" fans and call it a reward? I do understand the mold/tooling value, but sorry, we are talking about Neca here, not some small third party company doing 1000 pieces. This limited run they are calling it, sounds more like a market strategy to charge whatever they want for this and attract "willingly/innocent" collectors to buy it. At least I already have good pictures to make my own reproduction. The skulls, I already have them. 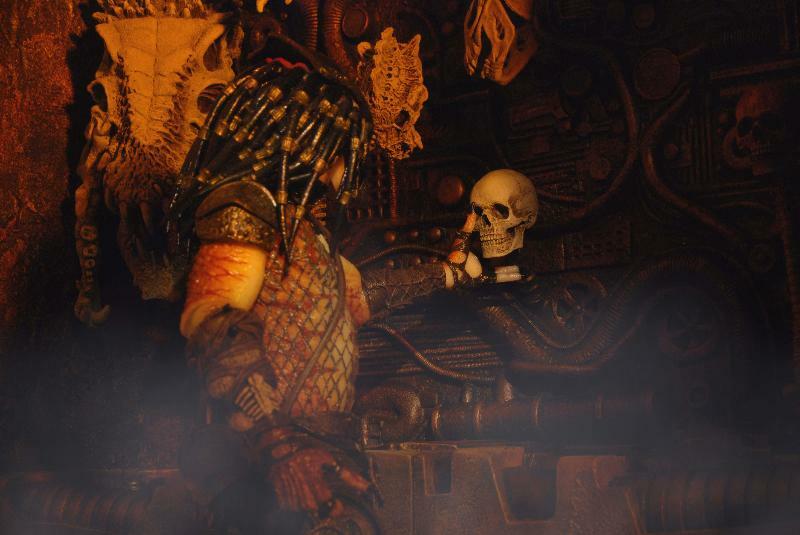 Wait, did the Alien skull appear in the second Predator movie? It's been a while but I'm pretty sure it did. As for the piece itself yeah it looks cool but I wasn't all that interested before. Now I'm just going to pass. I think it is a limited run for all the reasons you've already said you aren't going to buy one: no sense in over-producing something that not every fan is going to have a use for. In that sense, it IS a reward, to me: the options were either not produce it because of how few they were likely to sell, or do a one-time run and give those who want one a chance to get one. They said for months that they were trying to keep it under $50, but it's ultimately up to the retailer to charge what they think they need for a markup. Some additional points: no big retailer like TRU is carrying it, according to Twitter. The thing weighs eight pounds. These are more factors that make the price go up. Neca should definitely give you a reward for being the only person buying it!!! XD (nah, just kidding). Wish you well with this thing and really hope you don�t encounter the q.c. fails that neca has been characterizing for in the last years.